It might not look very different to the outgoing model, but don't let that fool you. 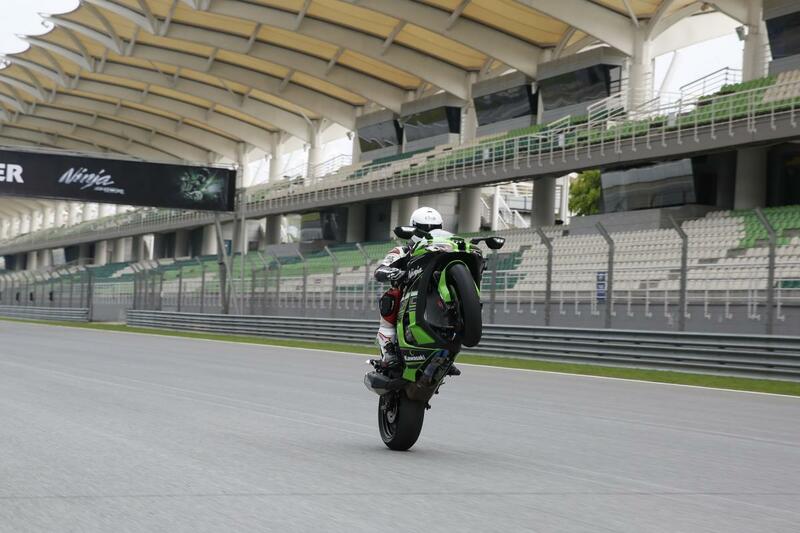 THEY say appearances are often misleading and the 2016 Kawasaki ZX-10R is a good case in point. Don't let your eyes fool you, the new 10R looks similar to the outgoing model but almost every component has been changed in Kawasaki's quest to make a better, faster and easier to ride 10R. 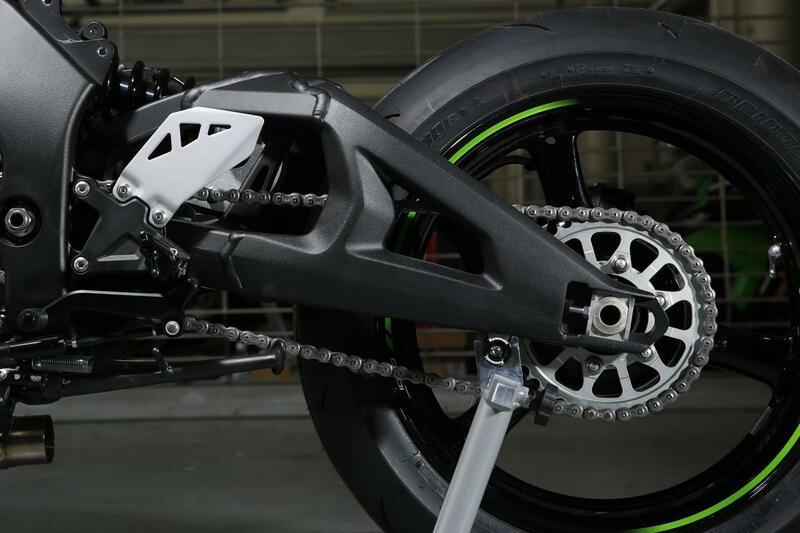 Clearly visible on the new 10R are the new Showa Balance Free Forks, Brembo M50 brake calipers and revised tail unit, but you’d be forgiven for thinking everything else is pretty much as it was. In fact, the only major components carried over from the previous model are the wheels, fairing mid-sections and the tank. The 2016 model's familiar look masks a whole host of changes and tweaks designed to improve the existing package. Broadly speaking, the changes to the new 10R fall into two camps: ones Kawasaki wanted to make and ones they had to make. Let’s start with the ones they had to make. The 2016 ZX-10R is the first Euro 4 compliant superbike (although you could argue that one, depending on how you view the new Ducati 959 Panigale). The stricter Euro 4 regulations affect emissions and noise, presenting manufacturers with a new set of challenges. It’s generally accepted that the additional exhaust work involved in meeting Euro 4 adds weight and stifles power somewhat. This is true with the new 10R, which at 206kg is 5kg heavier than the outgoing model and, despite a raft of engine tweaks, produces very similar power figures. However, Kawasaki have introduced some very clever touches to mitigate any Euro 4 setbacks - more on those later. The new 10R is only available with ABS (in order to meet the European Community Whole Vehicle Type Approval) and unlike in the past, it can’t be switched off from the dash (although road riders who like their braking slightly riskier can just pull the fuse out, track riders can fit a special ‘Race Kit’ dongle to remove ABS on the rear or switch it off completely). 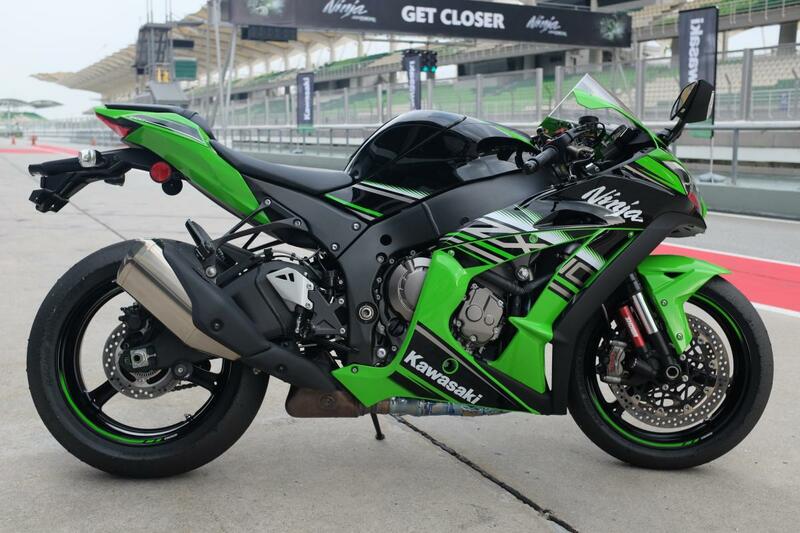 Now onto the changes Kawasaki wanted to make. Go and get yourself a fresh cuppa, this could take a while. Starting with the engine, bore and stroke at 76mm x 55mm is about the only thing that remains the same. There’s a new cylinder head, housing new titanium inlet and exhaust valves. the exhaust valves are up 1mm from 24.5mm to 25.5mm and the exhaust ports are now polished. 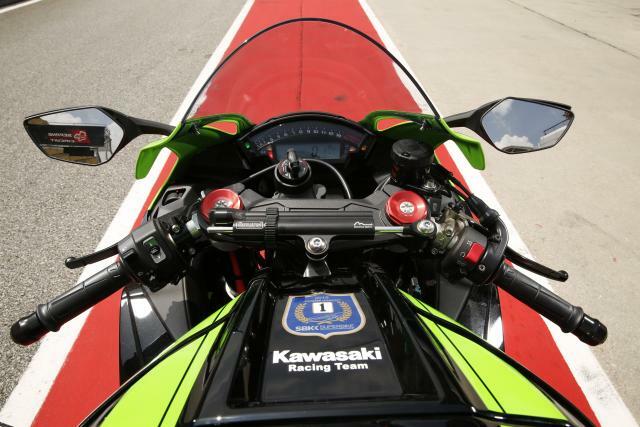 The crankshaft has been heavily revised with feedback from Kawasaki’s WSBK team and has a 20% lower moment of inertia, enabling the engine to spin up faster. It also reduces the gyroscopic forces in the engine, making the handling that bit lighter. the lighter crankshaft also allows a weight saving on the engine balancer and, according to Kawasaki, the reduced engine vibration allows the use of lighter vibration counter-measures, like bar-end weights. The pistons are made from a new material, are shorter and slightly lighter, again with the aim of allowing the engine to rev faster. 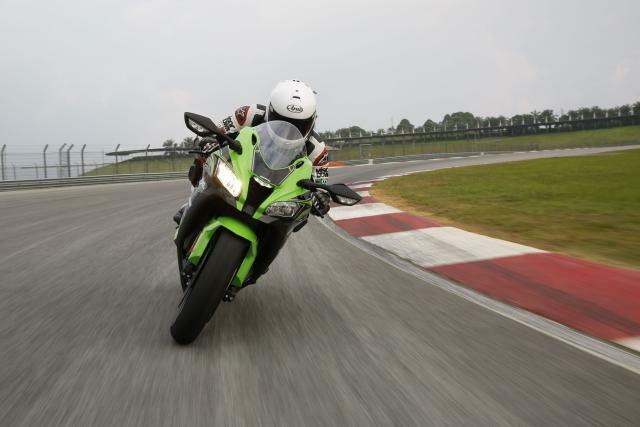 Kawasaki claims its increased engine reliability with 20% thicker cylinder linings, up by 1mm to 6mm. 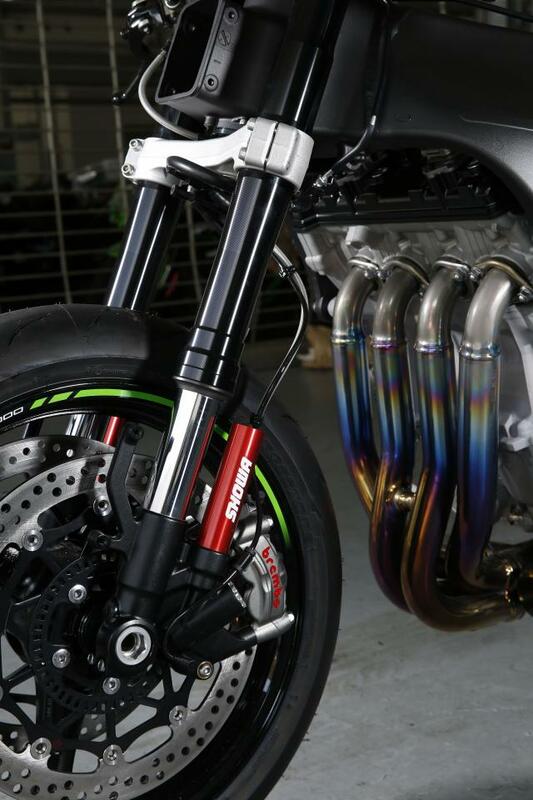 Another clever detail taken directly from the WSBK team is the cooling system. On the 2016 model, water is used to cool the oil cooler, that water then passes to the radiator instead of returning to the water pump. The titanium alloy stock headers have been redesigned (and although Kawasaki wouldn’t confirm or deny, rumour has it they were developed with Akrapovic). 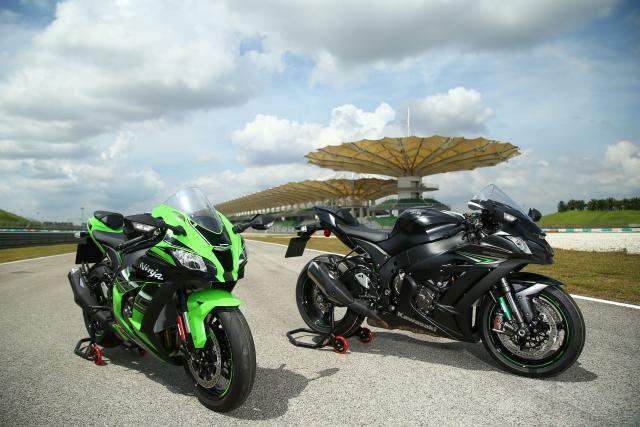 Kawasaki claims they’re now very close to the headers you’d get with a full system. The airbox is up from 8L to 10L, while the air filter is a whopping 60% bigger. Improved airflow is the name of the game. The new Showa Balance Free suspension is the first thing many will notice on the 2016 model. 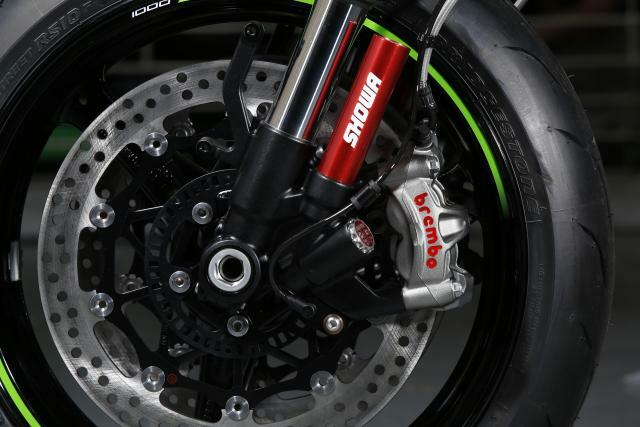 A joint effort by Showa and Kawasaki, the 43mm forks have been developed with the WSB team and from speaking to the development team, it’s clear the BF forks and rear shock were paramount to this bike. The system essentially separates the functions of the suspension; damping, compression and rebound. The coloured chamber contains pressurised nitrogen and controls damping, While compression and rebound are hydraulic and controlled independently, meaning a tweak to one won’t affect the other. 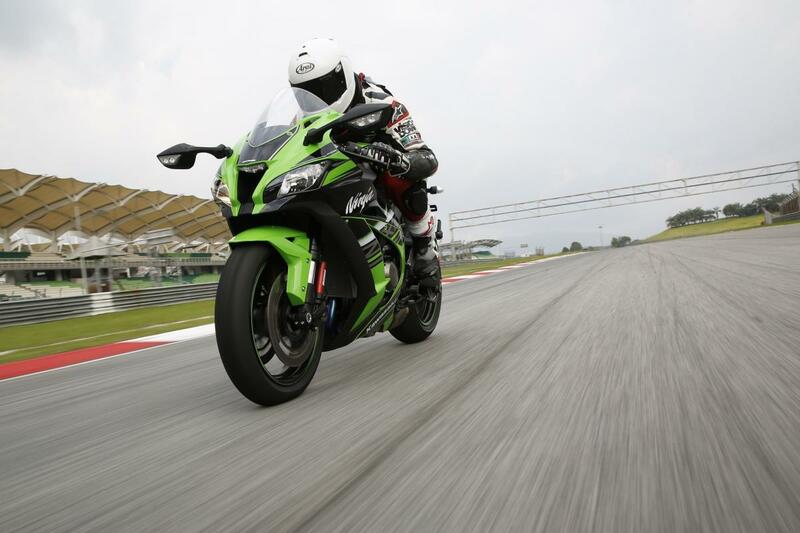 Kawasaki claims the system enables better traction thanks to increased responsiveness, improved stability on the brakes and increased feel and comfort. The frame looks identical but has been completely revised. The wheelbase, at 1440mm is 15mm longer than the previous model. It’s a long time since I’ve seen a manufacturer introduce introduce a double-digit change in wheelbase. The headstock is 7.5mm closer to the rider, which Kawasaki says places more weight over the front of the bike and in turn aids feel and stability and corner entry. The swingarm is 15.8mm longer than on the previous model, shifting the relative weight bias towards the front of the bike. Braking was an Achilles heel on the old 10R but it has been enhanced on the new model. The 330mm semi-floating discs are 20mm larger and they’re now gripped by Brembo M50 four-pot calipers. The icing on the cake is the Brembo radial master cylinder and the cherry on top are the brake lines which are braided steel as standard. So we’ve established that the majority of changes to the 2016 10R are hard to spot, but some of the biggest changes are in an area that’s almost impossible to spot: the electronics. 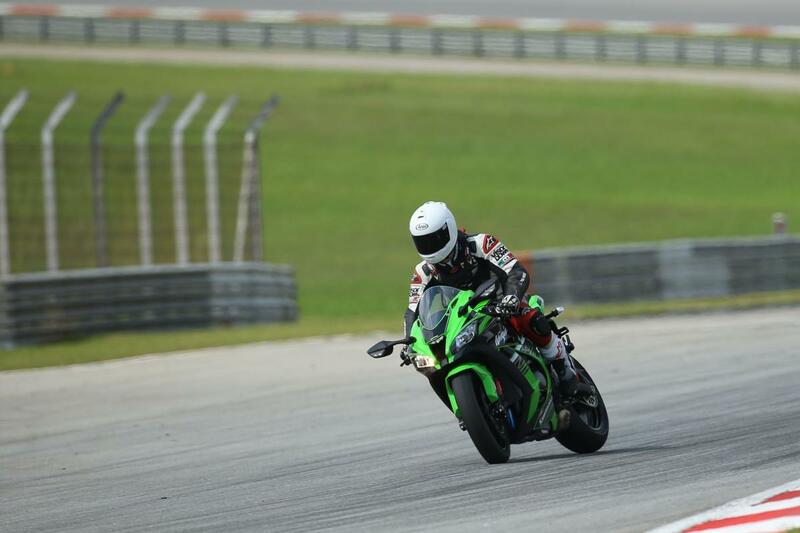 Kawasaki has introduced a new 32-bit ECU and an additional clever bit of electro-trickery called an Inertial Measurement Unit, supplied by Bosch. The IMU helps take the new 10R onto another level in terms of traction management. Sensors measure the pitch, roll and yaw, which along with front and rear wheel speeds, engine rpm, gear and throttle position are all fed from the IMU into the ECU. 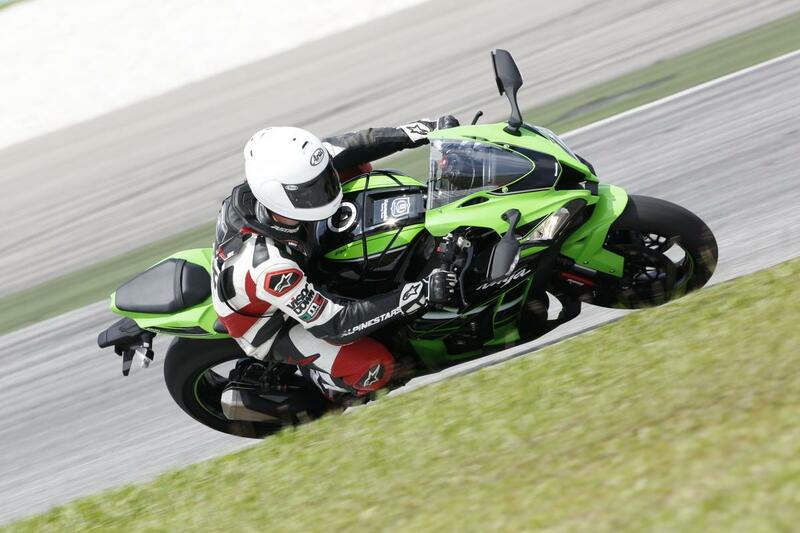 Kawasaki has developed its own software (rather than buy an off-the-shelf package) to interpret this data. the S-KTRC (traction control) system reads the conditions 200 times a second and makes adjustments via the ignition and then electronic throttle valves to help the rider reach the limits of traction. The IMU also enables Kawasaki to introduce what it's calling ‘Corner Management’. 'So is this cornering ABS?' 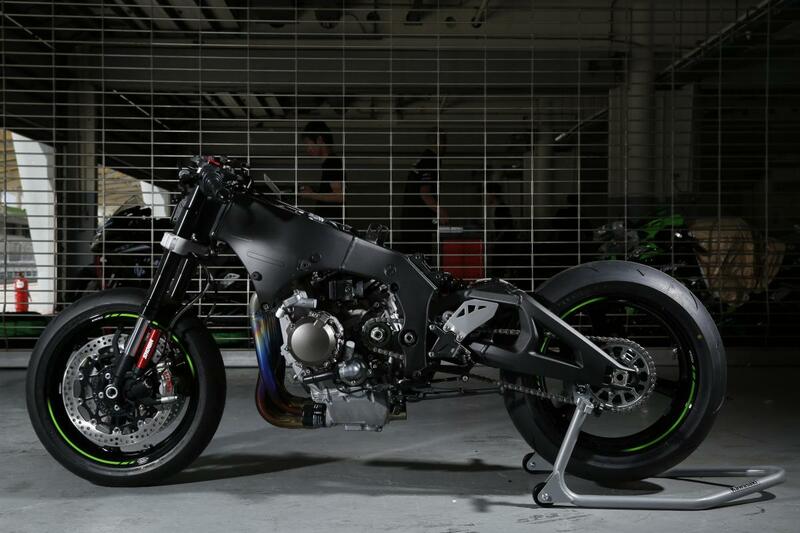 I ask Matsuda-san, former Kawasaki MotoGP boss and the ZX-10R Project Leader. He chuckles and proceeds to tell me that cornering ABS is something you can buy from Bosch, whereas this system has been developed by Kawasaki and uses the IMU to measure the bike’s pitch, lean angle and brake pressure. 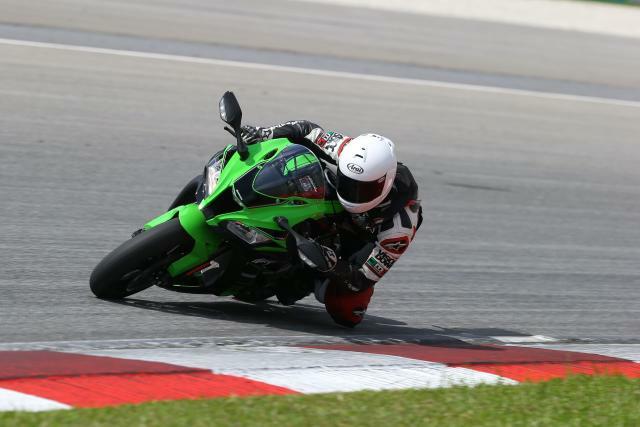 The system can reduce brake pressure to prevent the bike standing up mid-corner or in Kawasaki’s words: ‘cornering management assists riders in tracing their intended line through the corner.’ Clever stuff. The new 10R also features a quick shifter for clutchless upshifts. With the race ECU, you can also shift down without the clutch and let the auto-blipper do the rest.